The paper industry has been dealt its fair share of obstacles over the past few years. These challenges have been primarily caused by an increasing number of organizations shifting operations to digital platforms. Of course, the use of print materials and documents across a wide range of sectors is still very much alive and these items don't show signs of being abandoned any time soon. After all, companies will likely always require the use of print products to execute a number of daily responsibilities and transactions. But that does not mean the market is without its complications. And a topic of growing interest and concern for printing service providers and distributor of late pertains to litigation around cases of patent infringement. In an article for What They Think, Harvey Levenson, Ph.D. recently reported on the controversy, explaining how patent trolls are impacting the ability of the printing industry to uncover opportunities for growth and accelerate its progress in a rapidly changing environment. What, exactly, is a patent troll? As defined by the source, it is "a company or person that purchases a patent and then sues another company claiming that the use of one of its products infringes on the purchased patent." Furthermore, these trolls make efforts "to enforce patent against alleged infringers far beyond the patent's actual value or contribution to the technology or the industry that the patent represents" and are "in the business of threatening and creating litigation." Levenson also explained that oftentimes trolls will use intentionally frightening techniques to intimidate and scare businesses into believing they may soon face severe legal consequences unless they pay a fee. Sometimes, these warning letters are effective because the company does not want to rack up court and litigation-related expenses. 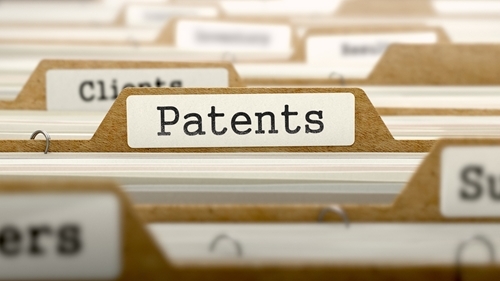 These patent trolls have already caused some damage and disruption throughout the printing industry, particularly affecting equipment manufacturers and distributors. This is a problem that Printing Industries of America has aggressively tried to address in hopes of preventing paper and print providers from falling victim to such accusations of infringement. On its website, the company explains that the number of print leaders who received letters accusing them of infringement violations has reached triple digits annually and that the patents cover a wide range of processes, including quick response codes, computer-to-plate systems and digital ordering platforms. In addition, it noted that the majority of infringement litigation occurring in the United States can be attributed to the patent trolls. The organization created a Patent Listserv that can be used by those interested in learning more about the matter, needing guidance on how to handle or avoid it and updating others on similar cases. Levenson suggested that to reduce the negative impact of these infringement lawsuits, businesses should not agree to pay any fines or agree to enter into a costly litigation case. By complying with the outrageous requests, he indicated, companies will only perpetuate the issue. Instead, all the accused should create a coalition to call to the U.S. Patent and Trademark Office to help mitigate the occurrence of such threats.